Nothing zaps away the accumulated stress at work like good alcohol and a perfect view on top of a rooftop bar can. 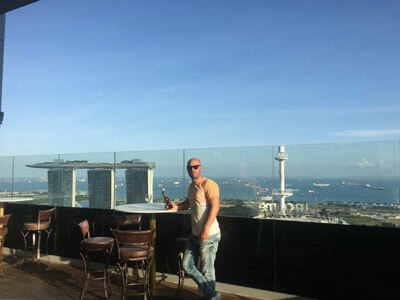 Luck for us, Singapore has rooftop bars in abundance. There are the luxurious ones, the really cool ones, the mighty big ones, the more cozy ones, some with their own brewery and some really, really high up in the air. And then there is also the one with the world’s best infinity pool. 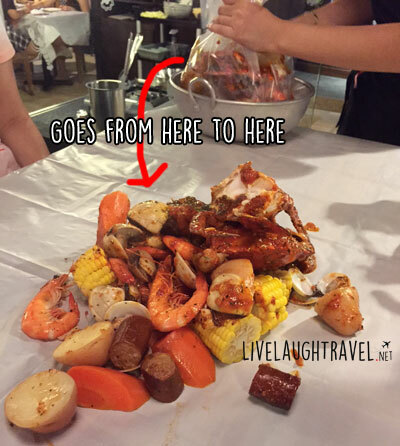 This week, our Singapore Food Blog & Travel blog teamed up with the people behind The Rooftop Guide, who have during the last two years, been to more than 500 rooftop bars from all over the world. Here you can find The Rooftop Guides full list of rooftop bars in Singapore. And here are their favorite 7 rooftops in Singapore. 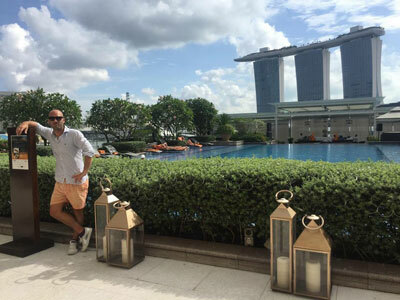 Marina Bay Sands rooftop deck really has almost everything one could ask for. A spectacular 360-degree view of the city, amazing service, tasty drinks and bar snacks, nice atmosphere and comfy furnitures. And on top of that, probably the coolest swimming pool in the whole world. This large infinity-pool, 200 meters up in the air, is an experience that you do not want to miss out on. Just one thing to keep in mind: to be able to take a dip in the pool you must be a guest at the hotel. 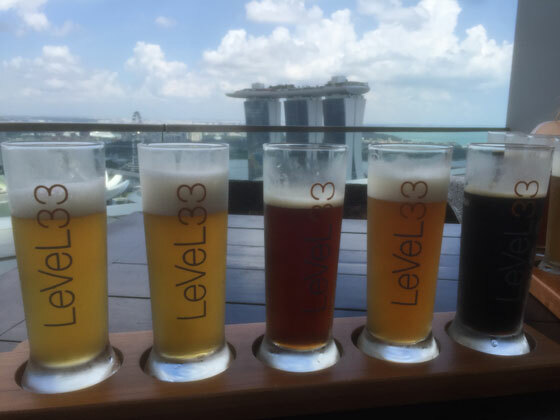 This is not only a great rooftop bar but also the world’s highest brewery. So if you are in the mood to mix some fantastic views with some tasty beers, then this is the place to be. You can order a plate of different beers from the brewery and do some testing to find out which ones you like the best. This, together with the relaxed atmosphere and the great views, make LeVeL33 a fantastic place to spend a couple of hours with friends. 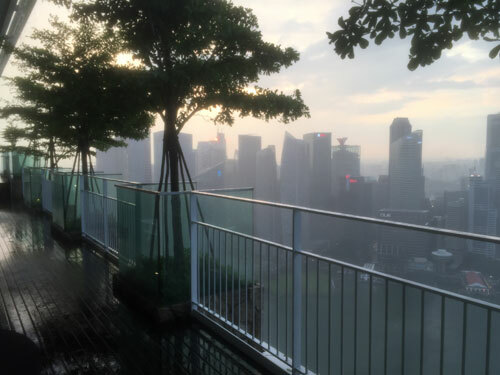 Singapore’s highest rooftop bar, and also one of the highest in the world. Located on the 63rd floor and about 280 meters up in the air you really get some spectacular views of the city. In all directions. 1-Altitude is really classy and offers high quality in everything, from décor to the tasty cocktails. Usually a really good vibe here with DJ’s and local bands adding that extra flavor. This is a very popular place, so our tip is to be here in good time if you want to choose that perfect spot with the very best view. This fantastic rooftop bar is located at the Marina Bay Sands 57th floor with an outstanding 360- degree view over entire Singapore. Here they have managed to create an atmosphere that feels luxurious and modern but still very cozy. Usually they have a DJ playing some nice tunes here. And apart from great service and really tasty cocktails the rooftop also offers fantastic local interpretations of Asian cuisine. Oh, and try to pin point the sunset from up here, it’s spectacular. 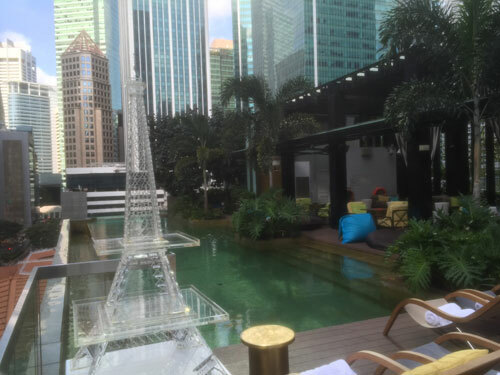 Luxurious and quite posh rooftop with great views of the city skyline and Marina Bay Sands. A bit on the expensive side but on the other hand you get what you pay for and at this place everything is of highest quality. From the really nice decoration to the extensive drink list with all you could ask for of cocktails, wine, champagne and beer. To top it off there is a great swimming pool if you are in the mood to splash around a bit. 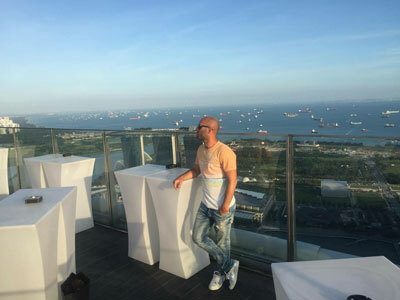 Empire Lounge is not only a cool rooftop with a quite magical 360-degree view, it is also one of the hottest nightclubs in Singapore. Every Friday and Saturday this place up on the 45th floor really gets going with lots of people and a great party atmosphere. In the weekdays you get more of a chilled vibe at this large, high-end terrace located in the financial district. Casual but chic design, tasty cocktails, an impressive champagne selection and some really nice bar bites are some of the best features of this rooftop. And for the really hungry ones there is also an oyster bar and a luxury meat restaurant that belongs to the Empire. A very luxurious rooftop bar right in the heart of Singapore with mighty views among the city’s sky scrapers. The terrace is equipped with comfy lounge furniture and has plenty of seating. But most of all it has a really nice swimming pool, which also happens to be Singapore’s only golden-tiled one. From the bar you can order cocktails of highest quality and gourmet bar bites. Usually there is also a DJ playing, creating a really nice atmosphere. A tip is to check out their daily specials, like Martini Mondays or Foodie Fridays, for some good deals.